Eversince a kid I'm always fascinated about fishing, but unfortunately I was never given a chance to do so backhome in the Philippines. It has become my frustration until 3 years ago when my uncle took me for a fishing trip... the rest was history. Now I'm giving the same priviledge to my 7 year old niece. 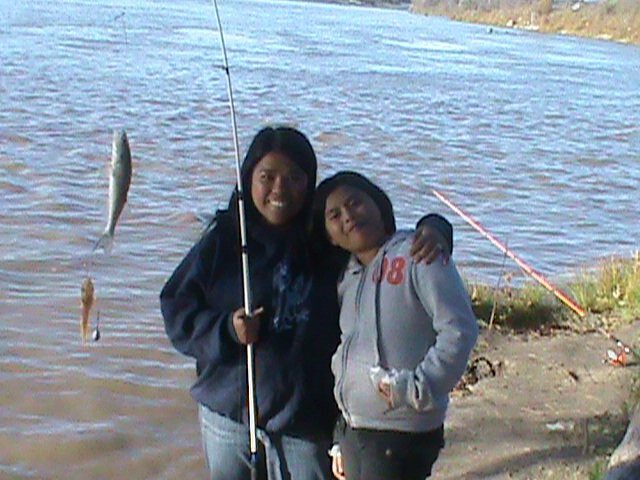 Her persistent on coming to my fishing trip paid off when I took her on the fall of 2010. She was on cloud 9 when she got her first fish. It was a good feeling to see my niece enjoy and share the same stuff that i love doing. So whenever your kids, grand kids, nieces, or nephews persist on going to one of your fishing trips, then don't deprive them of that priviledge... Pass it on.